As part of the Lemelson Center's Innovative Lives series, astrophysicist George Carruthers talked to middle-school students about being a real-life "rocket scientist." Encouraging the students to develop an interest in science, he told them about his hands-on beginnings in the field, building a telescope when he was only ten years old. Inventor George Carruthers was born in Cincinnati and grew up in Chicago's South Side. He loved reading science fiction books and dreaming about astronomy. When he was ten, he built his first telescope. It worked, even though it had only an eyepiece and an objective lens and was held by hand. Young George continued building and experimenting. With his high school teachers' encouragement, he won three science fair prizes. Dr. Carruthers has a college degree in aerospace engineering and graduate degrees in nuclear engineering, aeronautics, and astronautical engineering. With all these accomplishments, it is hard to believe him when he says that he wasn't good at math in college, and that physics was a challenge for him! Working in the Space Science Division of the Rocket-Astronomy Program at the Naval Research Laboratory in Washington, DC, Dr. Carruthers invented the Far-Ultraviolet Camera and Spectrograph. Astronauts on the Apollo 16 space mission used this camera to take ultraviolet pictures of Earth for the first time. 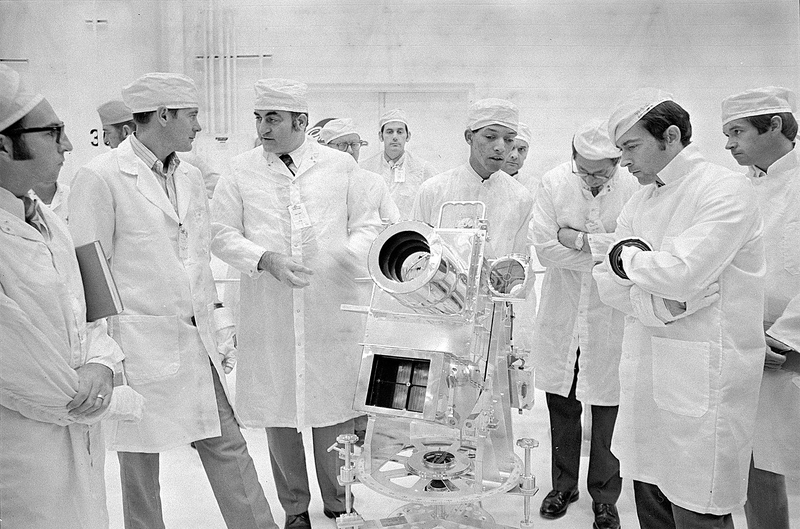 The astronauts also used Carruthers' camera to show that hydrogen exists in outer space. In 1987, Dr. Carruthers won the Black Engineer of the Year Award, just one of his many awards and honors. Today, besides working on experiments for missions in space, Dr. Carruthers is a member of Project SMART, which encourages African American teachers and students to get involved in science and technology. Dr. Carruthers believes doing experiments and watching demonstrations are the best ways to learn about science.